3AM’s theology, which is built on the Bible, is designed so that any candidate/hang around wanting to wear our colors can complete a discipleship training program within the 90 day probationary time period. At each of the 3 meetings during the 90 day probation, 4 tenets will be instructed to each candidate. In order to be effective as a disciple of Jesus in the ministry of 3AM, it is expected that all 12 tenets be studied carefully and accepted as God’s will for all membership within the ranks of 3AM. AKA the BIBLE is the written Word of God. It is the testimony of Jesus Christ. It reveals Jesus Christ as God in human flesh and speaks to its own origin as fully inspired by God (2 Tim 3:16), yet fully written by men (2 Pet 1:21), just as Jesus Christ is fully God and fully Man (John 1:14). The Bible reveals God’s perfect and permissive will and His ultimate plan to restore all things unto Himself. The Bible reveals to mankind, the TRUTH, the plan of salvation and demonstrates the length God will go to save mankind. Nature reveals some of God’s glory, however, He also provided and preserved two witnesses that speak to all generations about His true character. (Rev 11) Both the Old and New Testaments reveal that God is love. 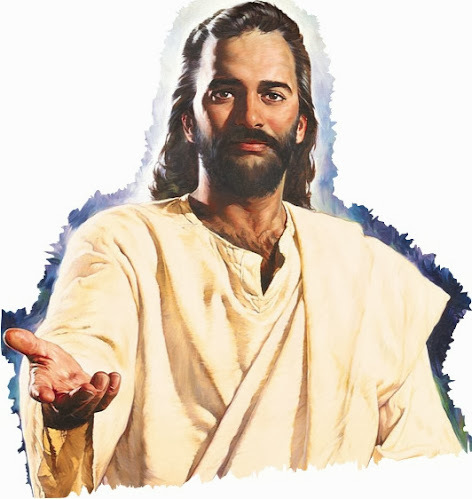 The Old Testament is about Jesus Christ concealed within the types/shadows which pointed forward to His tremendous salvific work (Luke 24:27) and the New Testament is about Jesus Christ revealed in the work Jesus accomplished as well as who Jesus Christ is, His preeminence, His glory and His authorship of all things made. (John 5:39) The Bible alone is the road map for all bikers wanting to get the right directions to heaven. “Sola Scriptura!”, the battle cry of the Reformation continues under the banner of 3AM. If it is in the Bible and not privately interpreted (2 Pet 1:20) but allowing the Bible to interpret itself-“rightly dividing it”-, then we are going to strive to uphold and live by the truth thus set forth. God’s authority rests upon the Holy Scriptures and we at 3AM submit ourselves to them. God is revealed in the Bible as “One” and the only true God deserving of worship/glory (Deut 6:4). The closest human example we have that reveals God’s unique oneness and glorifies Him is marriage. The Bible says that the two shall become “One” flesh (Gen 2:24). In both Scriptures above the Hebrew word “’echad” is used. Echad means one in agreement. In Biblical marriage there are still two separate people (male/female) but they are one in agreement. Similarly, there is one God: Father, Son, and Holy Spirit, a unity of three co-eternal Persons. (Matt 28:19) God is immortal, all-powerful, all-knowing, above all, and ever present. His character is pure. He cannot lie. (Titus 1:2) He is love. (1 John 4:8) He is infinite and beyond human comprehension, yet known through His self-revelation, the Bible, nature and a personal relationship available to us all. God is revealed as One who seeks those who would worship Him in Spirit and in Truth and rewards those that diligently seek Him. (John 4:23; Heb 11:6) There are no gimmicks. To know Him is to love Him. Therefore, we at 3AM recognize the authority of God’s oneness as revealed through the Father, the Son-Jesus Christ- and the Holy Spirit. The Bible reveals God as the Creator of all things (Ps 33:6, 9). It specifically spells out that Jesus Christ who preexisted before his human arrival (Micah 5:2) as the Creator of all things. (John 1:1-3/Col 1:16-17) Thus His creative act according to Scripture is described as a literal six day event wherein He made “the heavens and the earth” and all living things upon the earth, and rested on the seventh day of that first week. Therefore, by His authority He established the 7th day aka the Sabbath as a perpetual memorial/sign/flag/mark of His completed creative work. (Ex 20:8-11) The first man and woman were made in the image of God as the crowning work of Creation and given the gift of Marriage, procreation, dominion over the world, as well as charged with responsibility to care for the earth. When the created world along with everything in it was finished, it was “very good,” declaring the glory of God. (Ps. 19:1-6) Thus, the authority of God by creating in six literal days and resting on the 7th day is witnessed by the seven day weekly cycle around the world over. There are no astronomical measurements available for the world keeping the seven day weekly cycle. We have 365.25 days in a year because we can astronomically measure the length of time it takes for the earth to complete one revolution around the sun. We can measure 24 hours in a day astronomically due to the length of time it takes the earth to rotate on its axis. However, the seven day weekly cycle has no astronomical measurements for its world adherence. The seven day weekly cycle can only be attested to from the Bible. Therefore, we recognize the authority of God in setting aside the 7th day Sabbath as a memorial of His six day creation. Since He alone can create out of thin air, we at 3AM know and recognize His authority/ability to recreate us into the people He wants us to be. God freely allows these questions above to be asked of Him. He is not indifferent to His creation and cares for all of us. (1 Peter 5:7) Actually, God is seeking just such a people who want to know the truth in this matter. (John 4) And on top of this Jesus said, “You SHALL KNOW the truth and the truth shall set you free (John 8:32). So let’s begin with the place we see clearly the two main characters involved in this great controversy namely, Calvary. Here we see an angel, known as Satan, who did everything in his power to murder the Son of God in human flesh through one of the most horrific of deaths, the crucifixion. And then we see the Other character who did not even curse the devil nor those who were being used by Satan to spit on Him, pull His beard out, beat Him, humiliate Him by striping Him, rip His flesh with a cat of nine tails, place a crown of thorns on his head and torture Him by crucifying the Son of God to a wooden cross in front of His mother. Instead, what we see is the spotless Lamb of God offer a prayer of forgiveness to those who had sided with Satan and did not even realize it. Jesus prayed for them, “Father forgive them, they know not what they do.” (Luke 23:34) What we see is the Creator of all things who became flesh willingly take not just our flesh to become the 2nd Adam, but One who lived a perfect life having never sinned being led to a death on the cross and then being resurrected satisfying the claims of the 2nd death the Bible speaks of for those who refuse to accept the grace/mercy of God in Jesus Christ. (Rom 5:19; 1 Cor 15:22, 45) The authority of God says that we are sinners and must be born again from above with new natures. (Rom 3:23, 1 John 1:8, John 3:3,5) However, God has demonstrated how much He really does love us in that He chose to come and die for us while we were still sinners. 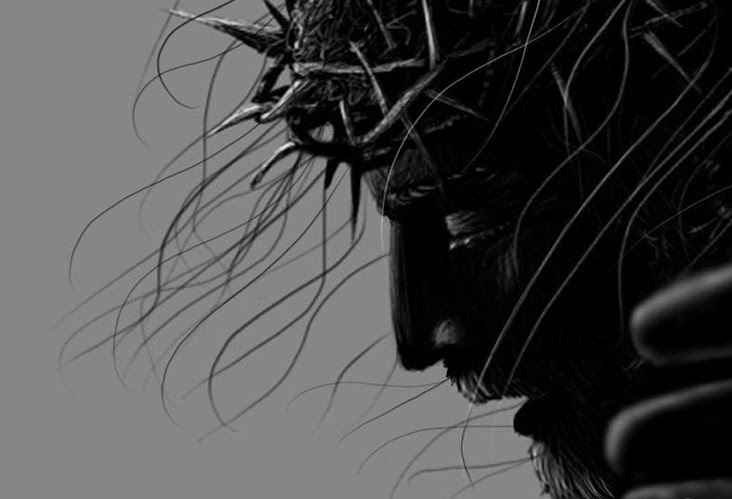 (Rom 5:8) He did not wait for us to be perfect and then offer us salvation. No, He provided salvation while we were His enemies. (Rom 5:10) God who is rich in mercy offers this grace and new birth as a free gift to those who desire to leave the ranks of Satan and sin. (Rom 6:1-23) God offers to give us the credit of the perfect life Jesus lived if we will give Him the total devastation of a life we have lived. We must simply ask Jesus to cover us with His blood. The life is in the blood. (Lev 17:11) Therefore, we are asking Jesus to give us His perfect life He lived in exchange for our rotten life we have mucked up. We must confess our sins and ask the Lord to forgive us of all our past. He wants to do this. That is why He provided the free gift of salvation in Jesus. But that free gift required the shedding of blood. (Heb 9:22) There had to be a perfect sacrifice to pay the debt we have incurred. The good news is Jesus Christ is the sinner’s sure hope. (1 John 1:7) He lived a perfect sinless life and no matter what we have done, God is willing to forgive us if we ask. (1John 1:9) God has provided the sacrifice in Jesus Christ as payment for the debt on our account. And to prove that the death of Jesus was sufficient to pay our debt, God then raised Jesus from the grave to intercede for all who come to the Father through Him. He is able to save the furthest away from Him because He always lives to make intercession for us (Heb 7:25). The authority of God rests upon the salvific work of Jesus and we at 3AM rest in His work. The peace the human heart experiences as one receives the work of Jesus in place of their own, allows a supernatural rest, freedom and joy that nothing else can compare. Know Jesus, Know Peace, No Jesus, No Peace. When it comes to God’s authority, nothing speaks and thunders louder than the 10 Commandments. (Ex 20:1-18) In fact when God spoke them to His people in the desert, they were scared mightily. (Ex 20:19) They requested that Moses make intercession for them and agreed to do whatever God said. (Ex 19:8) This constituted the Old Covenant. It was an agreement to obey God and His 10 Commandments. The problem became evident however, that God’s people from the high priest on down, had no power in themselves to obey God. Consequently, the law of God was broken even before Moses could make it down the mountainside with the two tablets in his hand written by the finger of God. (32:15-19) Therefore, God promised a New Covenant. (Jer 31:31-34) This New Covenant would also include God’s basis for His government, His 10 Commandments. (Heb 8:7-13) No, the 10 Commandments were not just for the Jews. However, this time this New Covenant was not based on human efforts. It was based on what God would do through the life of Jesus on behalf of fallen man. Because Jesus perfectly lived the 10 commandments in His life, He then is able to credit all believers with His perfect record. But beyond this is a change in our nature called the born “again” experience where our natures are then born from “above” and the 10 Commandments are written on our hearts and minds. (Heb 8:10) The Bible states that the Lord through the New Covenant would do this very work. From then on the Lord through His Holy Spirit moves upon His people to steady, settle and seal them in their relationship with Him. (Eph 1:13; 4:30) Because God’s people have experienced His forgiveness and transforming grace in their lives, obedience to what God commands is not a burden but a privilege. Jesus said, “if you love Me, keep My Commandments.” (John 14:15) It is love for Jesus that motivates the obedience of God’s people. When you love someone, you will do just about anything for them. God’s Commandments are not optional for Christians. They are not 10 suggestions. They are 10 Commandments. If you call yourself a Christ follower and you don’t walk after His pattern set, then you might not be following the Christ of the Bible but rather a figment of your imagination. Jesus obeyed God’s law, not that we could live in sin, but that we might have power to live for Him in obedience through the New Covenant. The very name Jesus means He will save His people FROM their sins not IN them. (Matt 1:21) The Bible prophesies that in the last days there would be a form of godliness but a denying of the power that would give the true born again experience to true believers. (2 Tim 3:5) Though they may look Christian to some degree outwardly, they are really wolves in sheep’s clothing. This is true of the Antichrist as well. The Antichrist looks Christian. Actually, the Antichrist is described as tampering with God’s law and is also known as the “Lawless one” (Dan 7:25; 2 Thess 2:8). Because of Antichrist many “Christians” are following an abridged version of the 10 Commandments which reveal the degree of the Devil’s deception. The Bible states that the Devil even has ministers who may look Christian but are working against the Lord and teaching folks incorrectly. 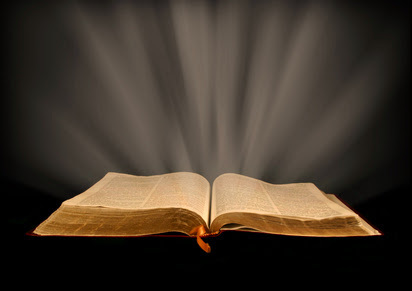 (2 Cor 11:13-15) It is critical that we read and know the Bible for ourselves. Otherwise, we may find that in the day of judgment, we were siding against the authority of God by falsely believing His 10 Commandments were no longer relevant, especially the 4th Commandment concerning His 7th day Sabbath. This one in particular is important in these last days since it speaks directly against the false teaching of evolution by stating in no uncertain terms that “in six days the LORD made the heavens and the earth, the sea, and all that is in them, and rested the seventh day. Therefore the LORD blessed the Sabbath day and hallowed it.” (Ex20:11) It is also called the “Sabbath of the Lord”, not the Jews. The Lord does not change. Jesus Christ is the same yesterday, today and forever. (Heb 13:8) Were there Ceremonial Sabbath days that pointed to Jesus as a sacrifice and thus nailed to the cross? Yes, indeed there were. (Col 2:16,17) Yet, the Sabbath of creation as found in the 10 Commandments endures as long as the Lord who made all things endures. One of the biggest conspiracies the Devil and his cohorts have attempted is the change of the worship of Jesus from His 7th day Sabbath to the 1st day of the week, Sunday. To which anyone wanting to justify this change have no Biblical grounds. It is simply an established tradition of a system that seeks to replace Jesus also known as Antichrist. Anti as in Anti-Christ not only in latin means “against Christ”, but it more correctly means “In place of Christ”. The goal once again of the Devil is to usurp God’s authority and replace it with his own through a false Christianity and false church. Some extrapolate that by going to church on Sunday we are recognizing the resurrection of Jesus from the dead which happened to occur on the 1st day of the week and this is their reasoning for not keeping God’s holy day, the 7th day Sabbath. However, this is not what the Bible says is the way we as Christians are to recognize the resurrection of Jesus. Actually, the Bible teaches that water baptism by immersion is our faithful response to our recognition of the death and resurrection of Jesus Christ. (Rom 6:1-14) The word “Baptize” comes from the Koine Greek word “Baptizo” which means “to immerse”. Hence, the Biblical baptism is one of full immersion into the water and not a mere sprinkling. Furthermore, water baptism, which has its roots as far back as the Red Sea Crossing and Noah’s Ark, testifies of our death to sin and of our purpose to walk in newness of life. (Col 2:12-13) The conscientious decision to be dead unto sin, also known as repentance, and alive unto God is not a decision an infant can possibly make. Therefore, baptism as a rite is reserved for those beyond the age of accountability. And it is through baptism that we acknowledge Jesus Christ as Lord and Savior of our lives; we identify ourselves with the salvific work of Jesus; we become His people (ekklesia- often translated “church” but literally means “the called out ones”) called out of darkness; and we are entered into the Book of Life in heaven. Baptism then is a symbol of our union with Christ, the forgiveness of our sins, and follows instruction in the Holy Scriptures as well as the acceptance of the Biblical teachings. (Acts 16:30-33; 22:16; 2:38; Matt. 28:19, 20) Ultimately, our submission to Christ’s teaching of water immersion baptism displays our willingness to submit ourselves to the authority of God in our lives. Jesus had “disciples” who were unwilling to submit to His authority back in His day. You can read about it in John 6:41 onward and it culminates with their rejection of Christ in John 6:66. We must be willing to do whatever our Lord Jesus Christ commands us to do. Then we will be in a surrendered, peaceful state of mind. Jesus Christ ordained this service as a part of the New Covenant by His authority. All who wish to follow His example will likewise be willing to wash each others feet and serve even in the lowest of capacities. 3AM seeks to submit ourselves to God’s authority seen in the ordinance of Baptism, the Lord’s Supper and foot washing as we seek to further God’s Kingdom. Immediately following baptism, the Scriptures record an induction ceremony known as the laying on of hands where prayer is offered over the new believer. (Acts 8:17; 19:6) This service is a petition prayer for the Holy Spirit to enter the new believer’s life and to empower the new believer to not only live for Jesus but to fight the good fight of faith with all the resources the Holy Spirit sees fit to enable the new believer to exercise. These gifts of the Spirit provide for leadership and unity as well as growth to the church so long as every part does its share of the work. (Eph 4:16; 2 Cor 10:4) It is up to the church to determine whether the manifestation of a gift is in fact backed by the authority of God. For instance, Acts 2, 10, 19 are all examples of the true manifestation of the gift of tongues, which is to speak in other languages. Then there is the false tongues experience whereby many have been mislead which is in reality an emotional fanaticism. God’s authority only backs the examples in Scripture. All others experiences must be tested to the Bible as to whether or not they are truly from the Lord. And as long as God’s authority is evident in this person’s life, then we at 3AM must be willing to submit to His exercising of the gift(s) and then help direct that person to be the most effective. This is the goal of 3AM. As Christians, we are called to walk in a newness of life. (Col 2:6) Part of the newness of life is to return to the instructions given by the Lord to humanity from creation and there after. We are to care for and be stewards of the earth as well as the creatures God has seen fit to give us dominion over. We are also to care for our physical body, which according to Scripture is the temple of the Holy Spirit. (1 Cor 3:16-17; 6:18-20) Drugs, alcohol, tobacco, promiscuous lifestyles, unclean foods and cursing are not consistent with a born again Christian. We are to carefully share our faith in God’s truths and in God’s salvation He has given us in Jesus. (Matt 28:18-20) Also our behavior as Christ’s followers should pattern the example which was set by Jesus Christ. (1 John 2:6) Jesus ministered to those in need and made special efforts to the outcasts of society. He was faithful in sharing the truth and disentangling the truth from the false ideas and teachings that religious people had encumbered around the truth. We are to earnestly contend for the faith once delivered unto the saints. (Jude 3) We are also to be stewards of our resources including our time, our money and our abilities. The giving of ourselves and our resources to God’s work can be seen in both the Old and New Testaments of the Bible. Here, God’s people were willing to put forth all their energy to further God’s work. Here, we see that God’s people were willing to die for their faith. And it is here that the principle of giving both in the form of tithes and offerings are set forth as a means to continue the spreading of the Gospel as an expression of thankfulness to the Lord. (Mal 3:8-12) We at 3AM want to continue to spread both the Gospel and the 3 Angels’ Messages around the world. Although, we do not seek tithe, we are very much appreciative for the generous systematic giving of offerings from believers around the world. We too at 3AM submit to the authority of God by recognizing that He has given us all things including our wealth, therefore, we also choose to return our tithe and give our offerings to further God’s last day message. Revealed in the Word of God is the science of God’s salvation, which requires the shedding of blood. 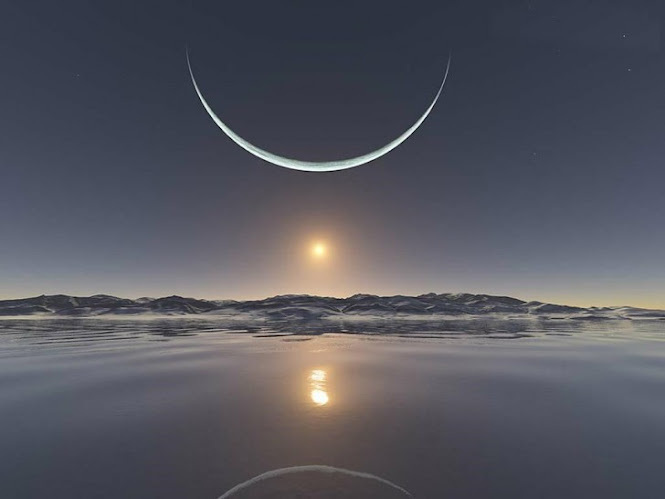 (Heb 9:22; Gen 3:20; Ex 25:8) God’s solution to the dilemma of His creation rebelling against Him and the problem sin has caused to the perfect world the Lord created can be more clearly understood as we study the Old Testament Sanctuary. The Sanctuary is a miniature picture of God’s justice and mercy played out through the imagery seen in each of the articles and stations. Through the Old Testament Sanctuary types, the work of Jesus, His sacrifice, His mediation and His intercession on mankind’s behalf are revealed as prophecy. (Lev 1:5; 16:5-10; 23:4-43; Heb 10:1) Some prophecies attached to the Old Testament Sanctuary such as various feast days and sacrifice have clearly had their fulfillment in Jesus Christ. (Col 2:16,17) However, the Old Testament Sanctuary was itself built after a scaled down pattern of what Moses was shown on the mount. (Ex 25:40) According to the author of Hebrews, there is another Sanctuary made without human hands that is the True Sanctuary in heaven. (Heb 8:2) This True Sanctuary is in fact the Sanctuary that deals with the mediation and intercession of the New Covenant. (Heb 7:25; 9:11-15) Just as the Old Covenant Sanctuary had priests, high priests, sacrifices, and apartments, so too the New Covenant Sanctuary in heaven has A Priest, A High Priest, A Slain Lamb, and 2 Apartments-the Holy and Most Holy Place. 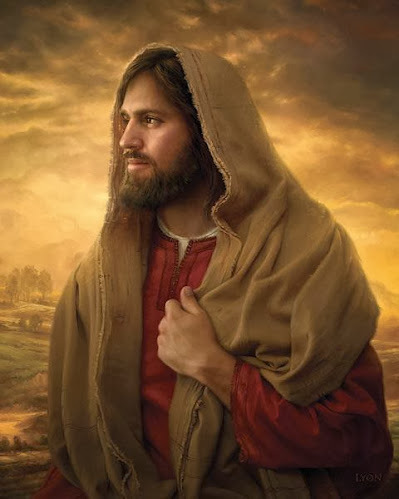 Accordingly, as the high priest of the earthly sanctuary would enter into the cleansing of the sanctuary at the end of the Jewish year on the Day of Atonement (Yom Kippur; Lev 16:29-34), so too has Jesus also entered into the cleansing stage of the Heavenly Sanctuary at the end of time upon the completion of the 2300 day prophecy of Daniel 8:14. The cleansing of the New Covenant Sanctuary in heaven separates the wheat from the chaff, those that claim to be Christians and are not from those that are Christians. 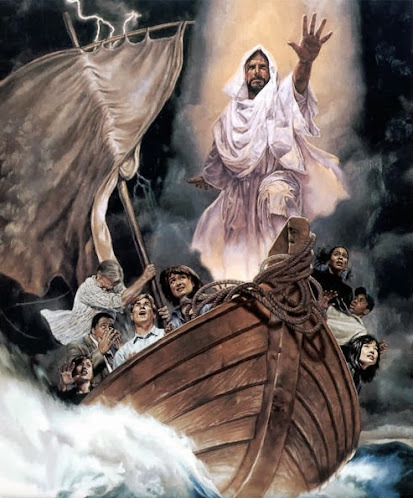 Jesus stated that when He returns, He is coming with His reward. (Rev 22:12) It just makes since then that a judgment would take place in heaven prior to His return that decides who receives the reward. Interestingly enough, the 7th church and last church listed in the Book of Revelation is called the Church of Laodicea. Laodicea means “The People of the Judgment.” This judgment connected to the sanctuary is called “The Cleansing” and will decide whose named remains written in the Book of Life whose sins are also cleansed from the sanctuary vs those whose names will be blotted out because they choose to cling to their sin. (Rev 3:5; Acts 3:19; Ex 32:32) When this cleansing is complete, Jesus will return to this earth He created to take the righteous to heaven to begin the next phase of judgment during the millennium where the righteous are involved in the judging of angels. (Heb 9:28; 1 Cor 6:3) God’s authority is demonstrated in the great scenes of both the Old/New Covenant Sanctuaries. Whether or not we are cleansed out of the Book of Life or remain written therein and receive eternal life is up to us and just how serious we are about allowing Jesus to be both Savior, Lord and Master. Only when He is all of these to us are we bowing to His authority in our lives. 3AM seeks to bow to the authority of Jesus by making Him Savior, Lord and Master. At the return of Jesus, the righteous are either resurrected from their grave or translated in the twinkling of an eye, but the question remains as to what exactly happens to the wicked because Jesus said both are to be resurrected? (John 5:28-29) The wicked who are alive at the coming of the Lord will be destroyed with the brightness of His coming and are left scattered upon the earth whereas the wicked that are in their graves will continue to be in their graves until they too are resurrected. (2 Thess 1:8-10; 2:8; Jer 25:33; Rev 20:5) However, the resurrection of the wicked happens 1,000 years after the resurrection of the righteous. During the 1,000 years aka the Millennium, the righteous who were caught up with Jesus will be a part of a judgment scene that includes judging of both the fallen angels and the wicked who must still face the final judgment, the executive phase, for their crimes against humanity. (Rev20:6; 1 Cor 6:3) Also during the Millennium, there are no human beings alive on the earth. The Bible describes it as an allegorical chain on the devil because he cannot tempt anyone until the 1,000 years are finished. (Rev 20:1-3; 21:7-8) Only the devil and his angels are alive during this time when the righteous are with Christ in heaven and the wicked humans were either scattered upon the earth as refuse or are still in their graves. 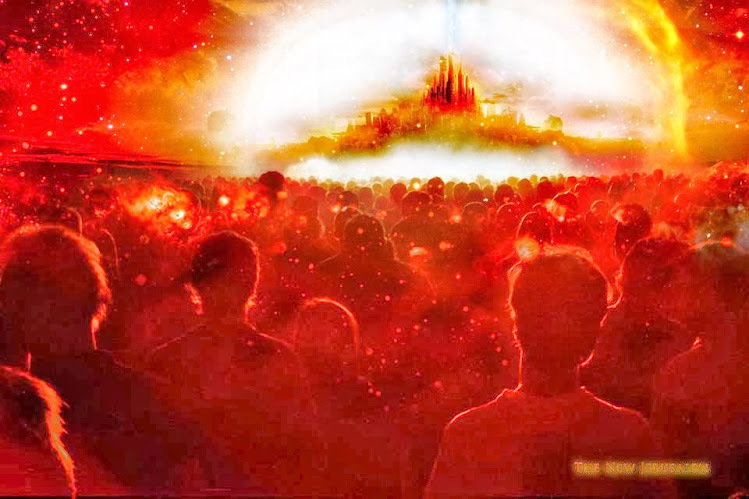 Immediately following the Millennium, the New Jerusalem Holy City comes down out of heaven and the wicked are resurrected to face their punishment. (Rev 21:2) All the wicked surround the Holy City and begin to rush it when they are forced to kneel before the Great White Throne and confess that God is righteous and that they would not be happy in heaven as unconverted, selfish sinners. (Rev 20:11-15) As the wicked rush the City, a fire called Hell or the Lake of Fire rains down on them that devours them leaving no trace of them except ashes. (Rev 20:9-10; Mal 4:1,3) No, hell does not go on and on as a place that burns in the middle of the earth. This teaching is not Biblical. The hell that the Bible teaches is so hot it finishes the job for all eternity and the wicked are no more forever including the fallen angels who have been reserved for this event. Just like folk have been falsely taught that the Devil is in hell right now when the Bible says he was cast to this earth, so too they have been deceived into believing that hell burns forever because they haven’t yet investigated what all the Scriptures say on the subject. (Rev 12:9; Mal 4:3) Really, just think about it. In order for someone to live in hell for all eternity would mean they have everlasting life. John 3:16 says there is only “one everlasting life” and this is only for those that choose Jesus as their Savior/Lord/Master. According to this verse if you don’t have everlasting life, you “perish”. From these ashes, the Lord then remakes the Earth to support the Redeemed. And we are promised sin will never happen again because we will never forget what it cost to redeem mankind. (Rev 21:4) The only thing manmade in heaven will be the scars on the hands and feet of Jesus. He did all this because He truly does love you and me. It’s amazing, I know and the best is yet to come. Though God’s authority was challenged, all who submitted to it will live forever. Amen. 3AM recognizes God’s eternal authority and are doing all we can to reveal His true character to all of creation.